2. 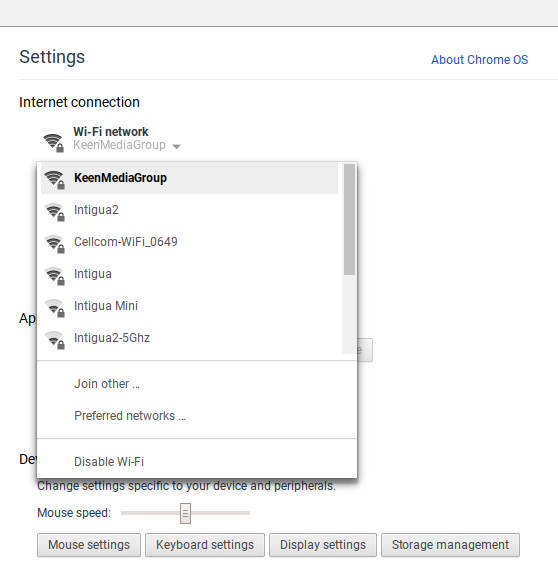 Under “Internet Connection”, Click on your Wi-Fi Network and in the list that shown, click your connection again. 3. 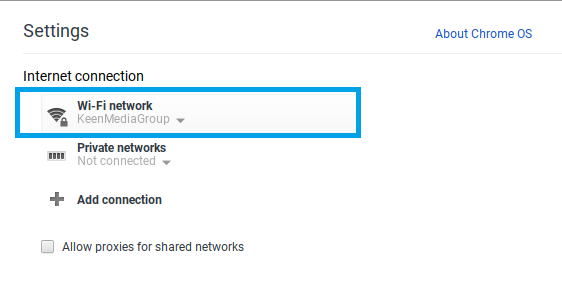 Click the “Network” tab. 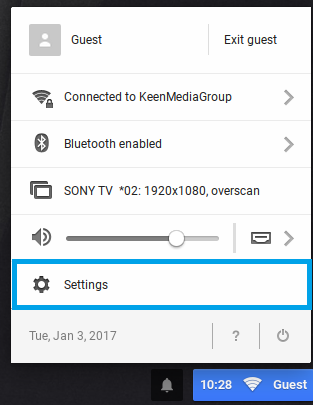 You will see that "Automatic name servers" is already selected. Now Select "Custom name servers"
Press 'Close' and exit all the windows which were opened during the process. 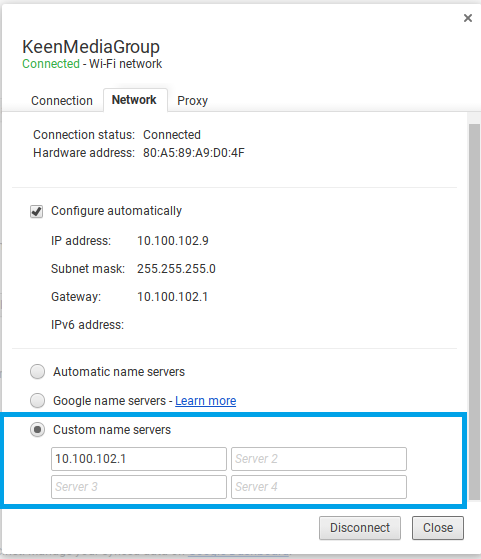 Don’t forget to update your IP Address using Keenow's “My Account” panel as described at the beginning of the tutorial.